New York, 1936. Red Ruffing, Lefty Gomez, Bill Dickey, Lou Gehrig, Tony Lazzeri, and rookie Joe DiMaggio—with these six future Hall of Fame players, the Yankees embarked on a four-year run that would go down in the history books as the greatest Yankees team, if not, the greatest baseball team of all time. Over the next four years, the Yankees won four straight pennants, finishing an average of nearly fifteen games ahead of the second-place team. They won their four World Series by an overall margin of 16-3, sweeping the last two, putting the punctuation mark on baseball’s first true dynasty. Even the Ruthian Yankees of the twenties never won more than two consecutive world championships. From 1936 to 1939, the world was changing rapidly. America was in the grip of the Great Depression. Franklin D. Roosevelt was re-elected president in the greatest landslide in American history. And Hitler’s Germany was on the move in the fall of 1939, just as the Yankee dynasty reached its climax. Against the backdrop of a world in turmoil, baseball, and America’s love for baseball, thrived. Starring the best team of all time, featuring little-known anecdotes of players and set against a history of the world, Yankees 1936–39, Baseball's Greatest Dynasty tells the tale of a legendary team that changed history. Stanley Cohen is a veteran award-winning newspaper and magazine journalist. He has worked as an editor, writer, and reporter for newspapers, magazines, and an international news service for more than fifty years and has also taught writing, journalism, and philosophy at Hunter College. He is the author of ten books, including the acclaimed The Game They Played. He lives in Tomkins Cove, New York. 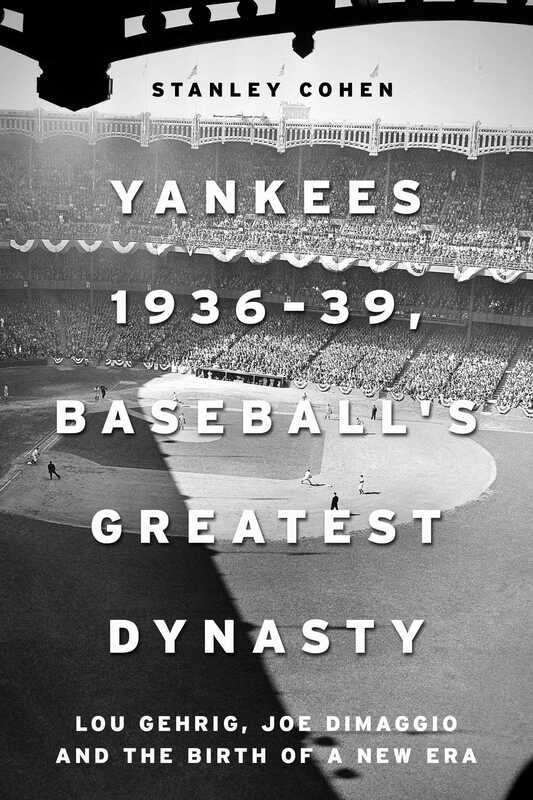 "In this engaging book, Stanley Cohen has done a skillful job of vividly describing the action and personalities that created the indomitable Yankees dynasty of the late 1930s with an overview of a world readying for war." "From Joe DiMaggio's debut in 1936 to Lou Gehrig's final season in 1939, Stanley Cohen captures the symmetry of a transition in Yankee history that was embodied by one of the greatest teams in baseball history." —Howie Karpin, author of So You Think You're a New York Yankees Fan?